Campsite Schloß Langenau is a campsite with 140 touring pitches and 95 year round pitches. During low season, between 01-04-2019 - 15-07-2019 and 01-09-2019 - 31-10-2019, the nightly rate is €16,- at one of the 140 touring pitches at Campsite Schloß Langenau in Obernhof (Rhineland-Palatinate). At this campsite you can not only use your CampingCard ACSI for inexpensive camping, you can also use your ACSI Club ID (as an alternative ID). 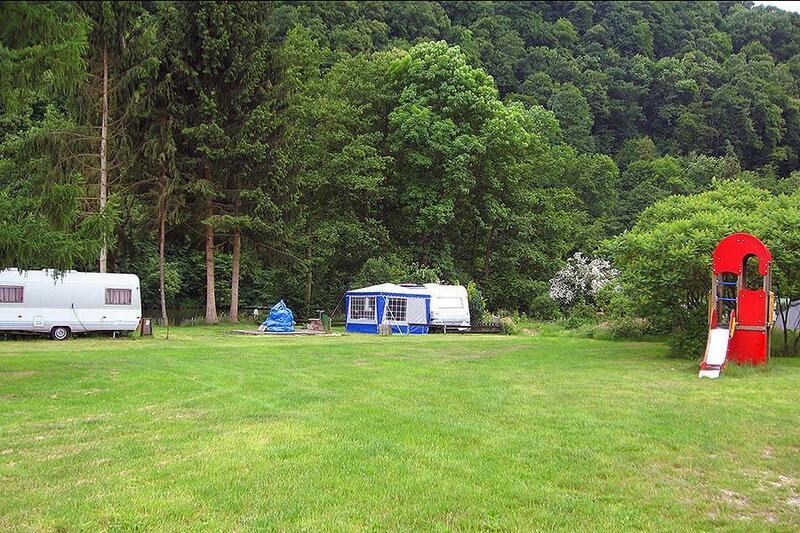 Quiet campsite with lovely location on the Lahn river. Beautiful, even grounds with well-maintained toilet facilities. Cycling, walking, fishing and canoeing are options here. Would you like to book Campsite Schloß Langenau or request more information? You can do both using the information below. Campsite located on B417. Closest exit on A3 is exit 40 Montabaur, about 5 km from Nassau, dir. Obernhof. CampingCard ACSI will send your information request to "Campsite Schloß Langenau".